This is an absolute favourite in our house. We have it with tacos or burritos and left overs are eaten with steamed rice. Heat a little oil or water in a wok or large pan and saute the onion until it softens. Add the garlic and capsicum and cook, stirring regularly for another minute or 2. Add the stock and tomato puree, bring to the boil and then turn down to a simmer. Then add the corn kernals and creamed corn. Stir to combine all the ingredients, add the kidney beans and continue cooking on a light simmer. Check the seasoning and add extra tomato paste and/or fajita seasoning. If you like spice, throw some chilli in. Serve as is with brown rice. 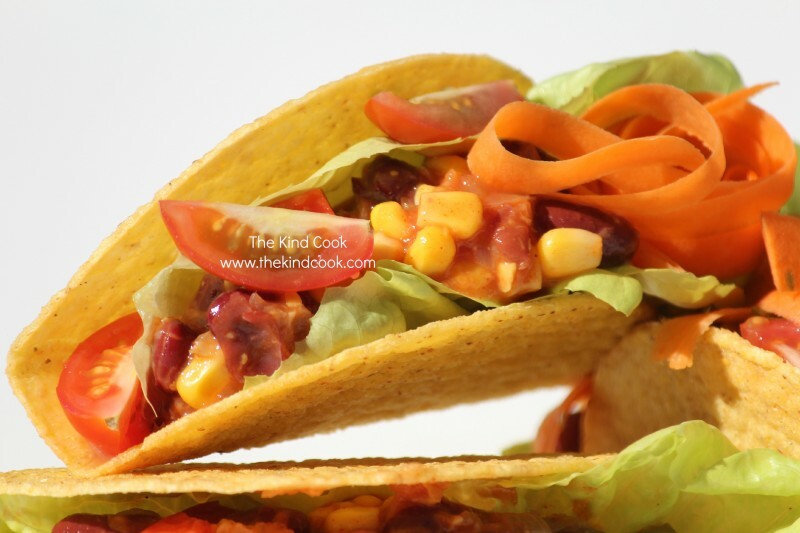 Eat with tacos or soft tortillas and go the whole mile and serve with steamed or blackened corn, chopped tomatoes, avocado, carrot ribbons, garlic chives, fresh spinach, fresh coriander and dairy free sour cream.